February | 2013 | First Nations Film and Video Festival, Inc.
What Filmmakers are saying about FNFVF? Dr. 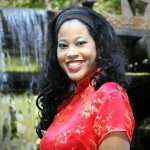 Dawn Karima Pettigrew, Ph.D. host of “A Conversation With Dawn Karima” and FNFVF filmmaker. First Nations Film and Video Festival, Inc. prides itself on being the largest Native American film and video festival in Chicago, Illinois. We are also the number one resource for Native American-produced film in the region and trusted by Native American filmmakers themselves in bring their works to a wider audience. We look forward to seeing you at our future events. Please join us in supporting these and many more Native American film and video makers and seeing their works on screen not shown anywhere else in Chicago. 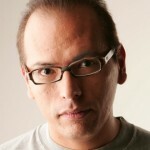 Do you as a Native American film or video maker have something to share? Let us know! Have you ever wondered what the value is of a film festival that features films entirely written and directed by Native Americans—true First Nations vision? First, let me tell you a little about how small and insular that scene is. When I was thinking about writing a Netflix column to draw attention to it and did a search, there were exactly three films streaming on Netflix that fit my criteria. 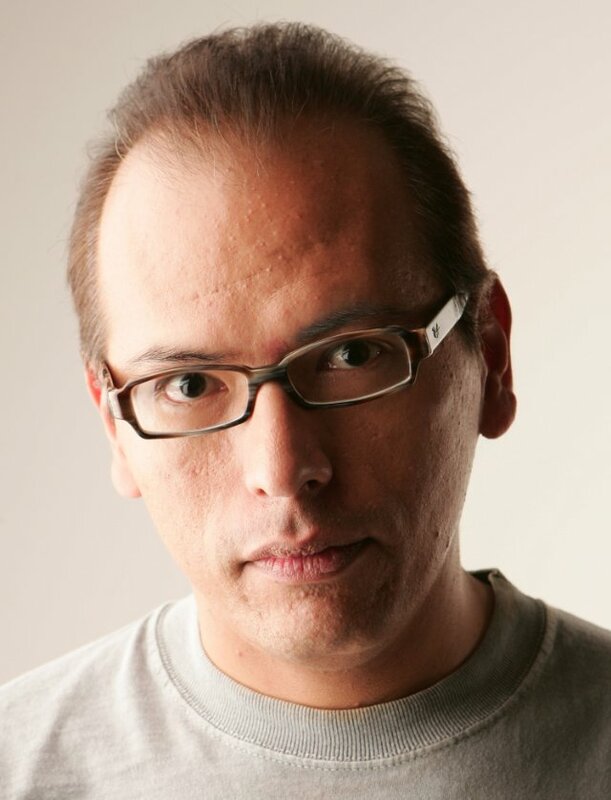 Those three films all featured overlaps—one Native actor (Adam Beach) appeared in two, and Lakota activist, poet, and musician John Trudell appeared in two. As one of these selections, Reel Injun, proves, there has been no lack of portrayal of Native Americans in film. However, when it comes to the portrayal of Native American as depicted by Natives, the scene shrinks overwhelmingly and becomes somewhat incestuous. The First Nations Film And Video Festival in Chicago is the longest-running and only festival of its type to insist on authentic first voice—that means the films are directed by Natives, who have ultimate control of the narrative. Otherwise, as we joked during one of our meetings, we may end up with Dances With Wolves—where a kindly, well-meaning white man shows us how to be a real Indian. Here are three selections on Netflix directed by Natives—and the only three as far as I could come across through my digging. To see more, please join us the first two weeks of April for the spring 2013 First Nations Film Festival. 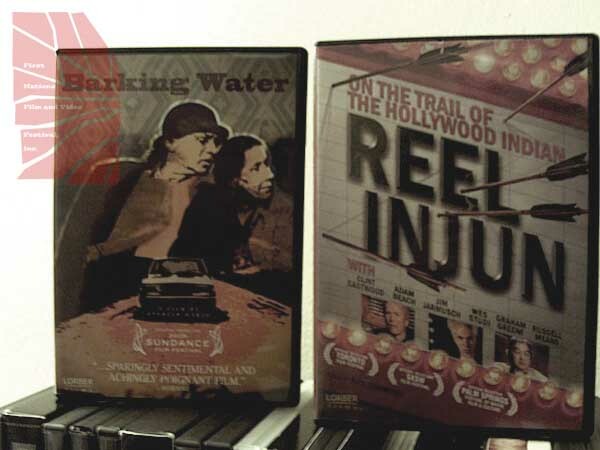 Reel Injun begins with a confession so heartbreakingly honest and relevant it could have only come from a Native viewpoint: when documentarian Neil Diamond watched the glorious westerns as a child, he never realized that *he* was supposed to be the Indian. If you play cowboys and Indians, someone remarks during the film, and you’re an Indian, doesn’t that mean you have to lose? Insights like these set the tone for Diamond’s thought-provoking exploration of Hollywood’s treatment of American Indians. For a topic that could come off as preachy or self-pitying, the film reveals the shades of nuance one would expect from a Native director who has gathered hundred of clips and interviewed key players in the film industry both Native and non. Diamond assumes that viewers come in already aware that Hollywood’s portrayal of First Nations people has been less than sensitive. Archival footage like Bugs Bunny gleefully gunning down cartoon “Injuns” while singing “Ten Little Indians,” or John Wayne shooting a dead Indian in the eyes, are interspersed as painful reminders of what some of our most iconic American images have endorsed. More subtle details though come in the homogenization of Native culture by Hollywood, assuming every Indian is a Plains Indian, and dressing them in the full regalia or headbands that they never wore. And by organizing the film into segments debunking different stereotypes of Natives, Diamond exposes how less vilifying images like the Disney Indian princess Pocahontas or the noble Indian epitomized by Iron Eyes Cody were just as harmful to the depiction of Natives in film. The framing of the film as a personal quest is a clever way Diamond keeps the film tired to his sense of curiosity rather than the victimization of Native cultures as a whole. Shown setting off on a bus to find the answers to where these stereotypical images began and how they are perpetuated, Diamond tracks down key players as diverse as Hollywood costume designers, a ranch where men take pleasure in playing their best John Wayne role, and a truly terrifying summer camp for teenage boys that seems, at least from the footage on parade, to believe that the key contribution of Native culture to America is aimless savagery and war paint. However, for all of these hollow shells informed by years of fear and inaccuracy, Diamond highlights all the more the gems in his quest that, little discovered or seen though they are, have helped gently guide the way toward a more realistic picture of Natives in film. Surprisingly, if you dig deep enough, there are even sensitive, internal portrayals of first nations culture in silent film. Award-winning Hollywood pictures like One Flew Over The Cuckoo’s Nest and Dances With Wolves, while still deeply flawed, portrayed Native roles that were more fully fleshed out and featured actual Native American talent cast in them. Smoke Signals was lauded as one of the popular heralds of a new age of Native vision, entirely conceived, written and directed by contemporary American Indian talent. Several of the Native commentators remarked upon moments in this film they recognized from their own lives, like a rez vehicle that would drive backwards down the road. And perhaps even further down that road, Smoke Signals director Chris Eyre argues, is the even more recent Fast Runner, which portrays an Inuit culture and ritual in the Arctic Circle so deeply that some of the roles and situations could only have been portrayed by a First Nations cast. Growing access to filmmaking tools as well as the embracing of new perspectives in festivals around the world will only lead to more of these Native “inside jobs,” which is why supporting local endeavors like the First Nations Film And Video Festival is so important. Only from this inside view can we come to truly understand something from a different perspective, which is how we can begin to lessen the grooves of cultural misunderstanding that have been worn over again and again throughout the years. It’s a bit difficult to pin down Georgina Lightning’s feature Older Than America. I was hoping for a good ghost story, but it’s more of a psychological thriller and drama. Many viewers who wonder why the dark secrets of Native American boarding schools aren’t typically taught in history classes may have pinned their hopes on this movie exposing those injustices. Although this is a key plot point, the film has a contemporary Minnesota reservation setting and most of the boarding school scenes involving the ritualistic abuse of children take place in flashback. I believe the movie would have been too disturbing had it actually taken place during that time, but Lightning is obviously a brave director to tackle the controversial topic at all. My feeling is she wanted the scope of the film to be wider, and to show a divide between Natives and Caucasians that is still present today, by weaving in a troubled past and reflecting some of the current tensions on the reservation. The entry point the character Luke Henderson (played with typical charm by Bradley Cooper) seems to provide is that of a bridge between cultural tensions on the reservation and a catalyst for exploration, as a friendly geologist who arrives to explore a possible earthquake discovers it may have happened near an old Catholic boarding school. Everyone in the reservation community seems to know terrible atrocities have occurred there, and nobody wants them exposed. He finds that the location itself has strange energy and he is being haunted by visions. These visions are shared by Rain, played by Georgina Lightning herself as a strong woman with character and a haunted history etched into her face. They include intense flashes of a cross symbol and children being struck or removed if they did not adhere to their “whitewashing,” or attempts by school administrators to erase any of their languages or cultural traditions. When Rain’s fiance Johnny Goodfeather (played as a reservation police office with a tough veneer and sweet interior by Adam Beach) receives an invitation to train at the FBI Academy, Rain faces a long-standing struggle between her mother and her Auntie Apple which closely ties in with their boarding school history as well as powerful secrets in town involving the church, the school, a Catholic mental hospital, and a new mayoral election. It seems like it’s a lot to juggle, but the film’s unusual structure greatly resembles the path of a circle. As a circle, everything touched upon other events and it reveals its theme through intense little points like the one where Johnny Goodfeather confronts a white patron at the bar who owes him money. The man calls him “Chief” and says, “we have a guy working down on the farm, just like you. He’s the best of the bunch,” while not realizing he has said anything wrong as Officer Goodfeather’s face seethes with controlled anger. Or the way the mayor’s new scheme to develop the land has a twofold political goal: to cover up atrocities and to control yet more Native land, repeating history. Or the point in the end where there is an intense healing ceremony for Rain to restore her heritage, who has just had to learn about a dark period in her mother’s life where that same heritage was erased. 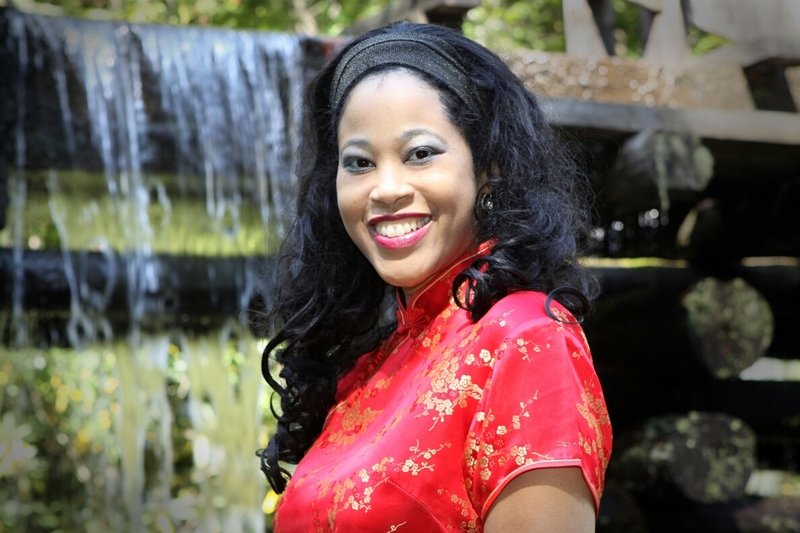 Somehow, other family members have been waiting for her to come back and provide a ceremony to re-connect with the heritage that has been stripped from her. It is important to keep these moments in mind because I feel they are reflective of Native first voice. Older Than Lightning is not a perfect movie; at times it suffers at times from some cliched dialogue, horror tropes involved in the flashbacks, and a heavy-handed message. Still, it boasts strong performances from a talented Native cast and a truly unique perspective on genre film, where the ghosts are those of things we’ve done in the past, and the many cultures we’ve taken away which are older than America itself. 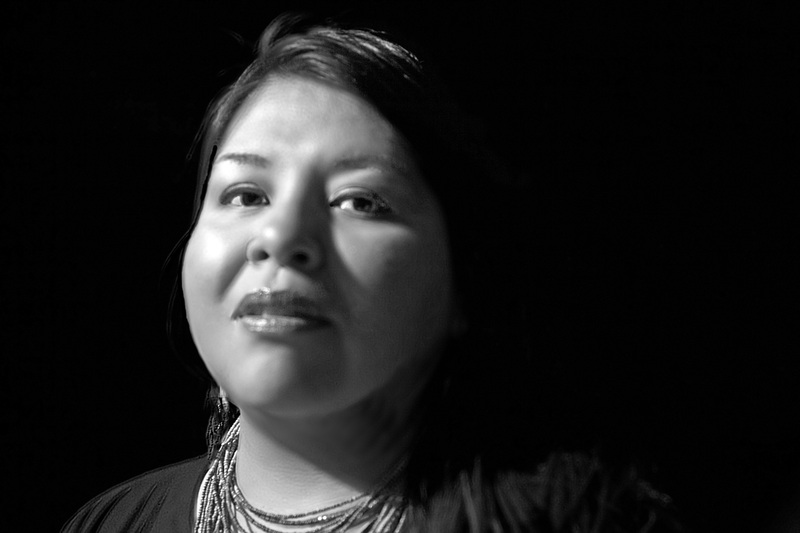 For ten years in the making and the scant running time of under an hour, Native filmmaker Heather Rae manages to provide a lot to the viewer in Trudell. She gives us a somewhat intimate portrait of a notoriously mysterious visionary figure, part activist, part musician, part poet, and part wandering philosopher raising unasked questions about humanity. 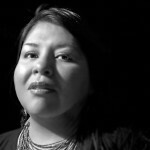 She provides a micro-historical lesson on the American Indian Movement, the occupation of Alcatraz, and treaty laws that the Bureau of Indian Affairs has failed to keep. And she also gives us, through the use of archival footage and interviews and peformances collected over her many years of study, a deeply spiritual and deceptively simple message, one that Trudell in all his confrontation has been trying to give: how we are living now is not right. Trudell proposes that we all have a genetic memory within us of the natural way things work: living within a tribe or a community. Somehow, through the ideas of religion, government, and sovereignty, the simple rules of how to live have been taken from us and replaced with modern notions like greed, power, and the will of God. Always in a documentary there is the question of the filmmaker’s bias. To Rae’s credit, she introduces Trudell in the beginning of the film as the controversial figure he is, with the namesake himself proudly owning how divisive he is and how people often dislike what he has to say or find it hard to hear. She cleverly contrasts this by beginning with some of his mesmerizing poetry and statements to the universality of his work and how it encompasses everyone embracing the earth and a simpler life, not just justice for Native Americans, set against serene natural images like camera pans of open fields or running wolves. It was a wise decision to begin this was instead of his act of burning the American flag, which must be built up to. However, Rae’s treatment of the material comes across as reasonably balanced for just how adulatory it can be at times. For instance, she reports two different perspectives on a tragic fire that occurred in Trudell’s family home, killing his wife and children. According to a Bureau of Indian Affairs, the fire was started by embers left in a fireplace. Trudell, not satisfied with their conclusion, hires a private arson investigator who believes the blaze must have been set from outside, not within. She cites a police report where Trudell allegedly fired a shot inside a store that wouldn’t accept his food stamps when he attempted to buy meals for the elderly, not offering a clear conclusion to this incident. It is difficult to tell whether Trudell is paranoid or truly unfairly targeted. The FBI has been collecting a thick dossier on him and he is considered (as was the American Indian Movement) dangerous, a threat to America. At least from what we see in the film, this is a remarkable feat for a man who seems to do nothing but speak. He does not even speak offensively, but usually in a calm, collected way that is appealing to a broad audience. And what is his dangerous message? That we shouldn’t take more than we need. That sharing the earth equally and helping people in need during our time is more important than waiting for God’s justice. That we can begin to remedy mistakes we made in the past so certain marginalized groups in America can regain at least a chance at an even playing ground. Clearly Trudell is a compelling speaker; he had me convinced, as well as celebrity activist friends like Robert Redford and Bonnie Raitt, and the Santa Barbara university that gave him his own radio station in Alcatraz. And he has a message that people also want to hear. That he is often challenged for delivering it speaks to the validity of his points about American freedom, and that certain people or messages are freer than others. First Nations Film and Video Festival, Inc. is pleased announce the introduction of a new educational component of the film festival. For years, artists and producers have allowed the FNFVF to maintain their films and videos in the FNFVF Archive in which they agreed to future educational screenings of their works to promote Native American first-voice and self-representation in media. Recently, the FNFVF acquired some public performance rights to a couple of popular Native-produced films, which allows for free, educational screenings. Now, First Nations Film and Video Festival, Inc. offers to bring Native-produced films and videos to your classroom or organizational presentations free of charge to help promote contemporary Native American culture and society in the classrooms and colleges of Chicago. FNFVF, Inc. has over 10 years of archived films and videos available for presentation screenings as part of a classroom curriculum or as part of ethnic studies presentations. FNFVF Inc. has a wide range of films and video to fit all classrooms. We will have a list of films available by grade and content and we will bring them to your class or event for screening and can lead in discussions or questions and answers about Native Americans in media. FNFVF Inc. can tailor programs to any class period or time length to suit your needs. If you wish for the First Nations Film and Video Festival to come to your classroom or presentation, feel free to contact FNFVF Director Ernest M. Whiteman III at ernest-3@fnfvf.org. We look forward to helping you teach your students or colleagues about contemporary Native American culture and society. Contact us today!